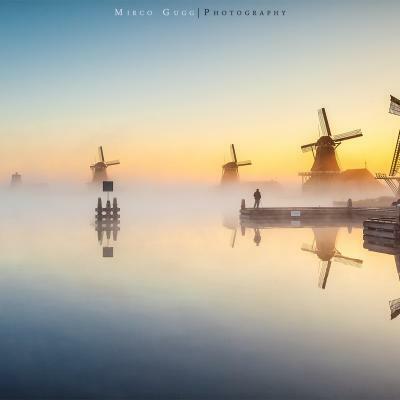 Beautiful exposure! 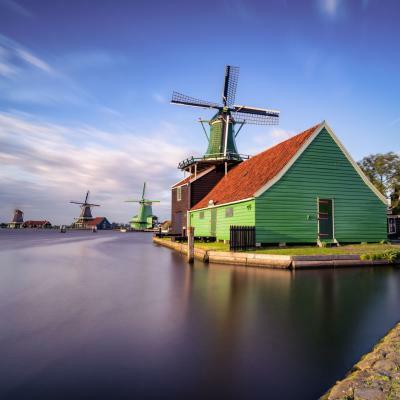 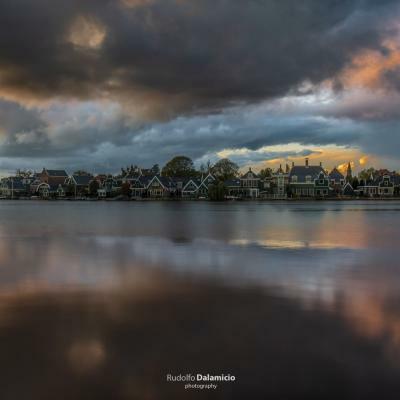 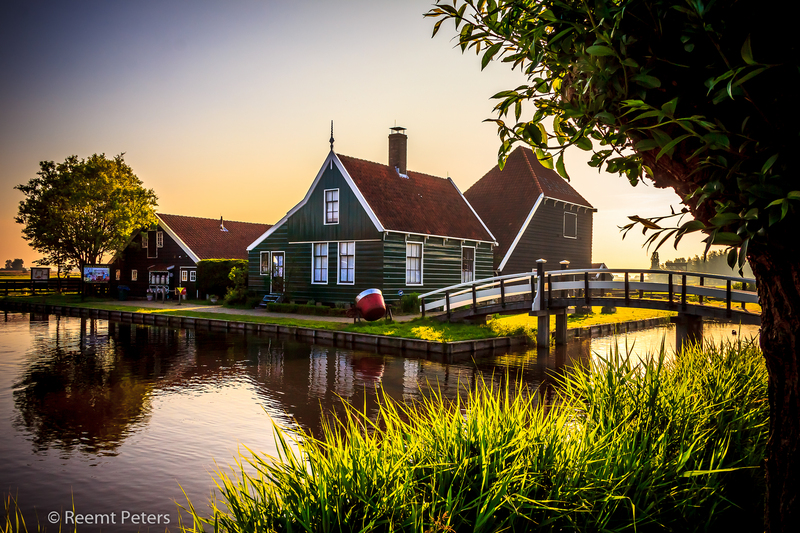 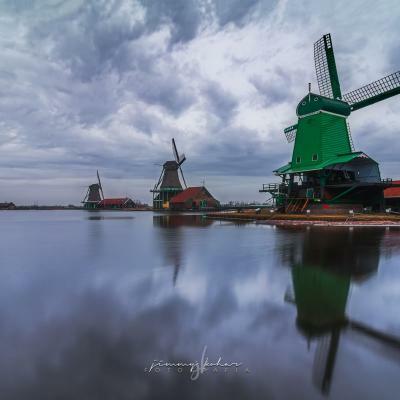 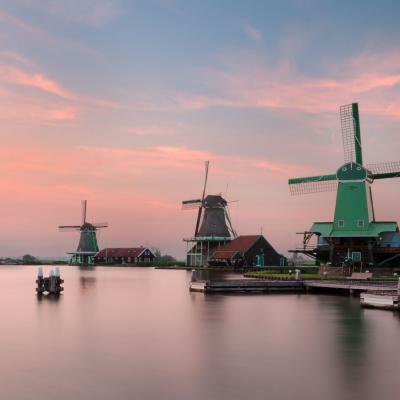 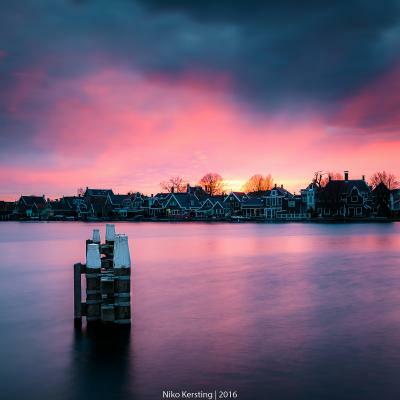 If I may add another tip: for those who would like to shoot night and dawn, and have a stroll around the windmills, landscape and the small village, you may want to book an amazing bed and breakfast place called "Heerlijck Slaapen Op De Zaanse Schans". 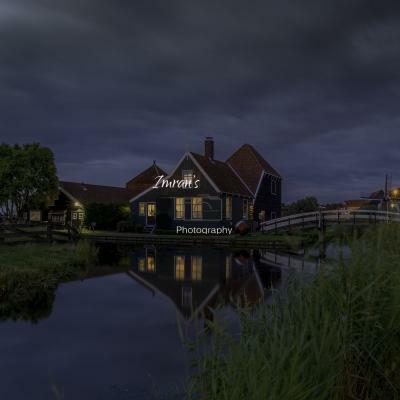 If you are lucky to get the rooms at the back, you can shoot at leisure the entire night and morning right from your garden/patio a series of typical dutch (Zaans) houses alongside the river. 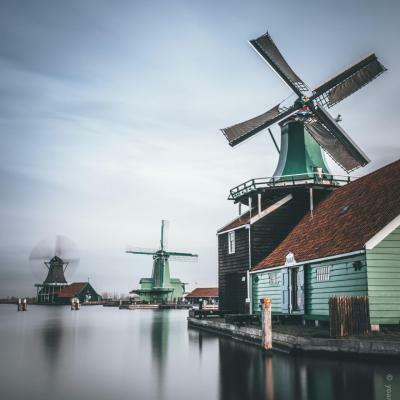 Thank you Reemt Peters-Hein for creating this photo spot and Mirco Gugg, Aliaume Chapelle, Arjen Dijk, Michael Keil, Prajeesh Prathap, Niko Kersting, Andrea Gozzo, Astrid Hall, Rudolfo Dalamicio for improving it with additional photos or content.